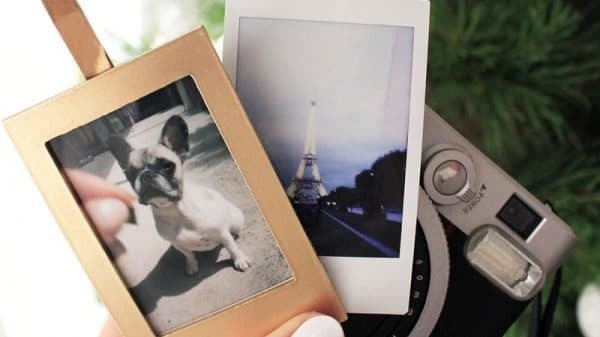 This DIY wooden photo stand is an easy way to display my Instax instant photos. I’m always looking for ways to display my travel photos and I find they always look better when displayed together! This photo stand can be custom made to whatever size you like, so you can use whatever size or amount of photos in it. 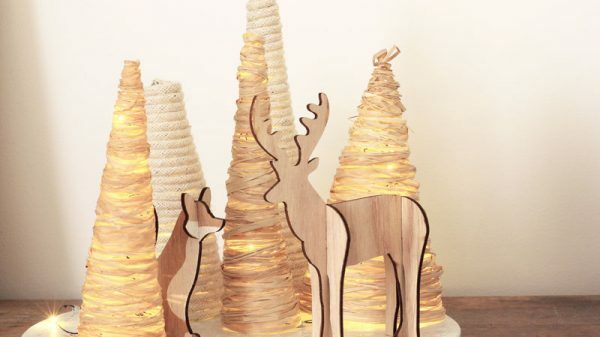 Best of all, using Balsa means you won’t even need to use any power tools. For this project you’ll need two thicknesses of balsa wood. Aim for around 5mm thickness for the base. The stand section can be made from thinner balsa, around 1.5mm. Firstly, decide how wide you’d like your photo stand to be. Mine was 26cm. Cut two lengths of thin balsa that are 2cm wide by 26cm long. Cut a third piece, that is 1cm wide by 26cm long. These pieces will hold your photos up. Use a hot glue gun to glue the 1cm wide piece to the first 2cm wide piece, making sure they line up down one long edge. Then, glue the second 2cm wide piece of balsa on top of the narrower piece, making sure it also lines up with the other two pieces. You should now have a gap in the middle where your photos will sit. Measure and cut the base of your photo stand with thicker balsa wood, 26cm long by 5cm wide. Draw a line lengthways through the centre to mark where the ‘stand’ part will sit. Then, glue the stand section down this line. Once your wooden photo stand is dry you can put it to use! Fill it with your instax photos, printed pictures, tickets, maps and other travel memorabilia to remember your travels. What do you think of this DIY photo stand? It goes well with scandi and neutral designs. Another way to display your photos is with my concrete photo cubes. Hey Anna, I would say that pruning the top is the most effective way to get them to branch. You should be able to see tiny nodes on the stem, at the base of leaves that are dormant. This is where branches can be activated from pruning. If you can, choose a spot to prune where there’s multiple nodes close by. Keep in mind that FLFs will firstly need enough energy stored to send out multiple new shoots. Otherwise any pruning or notching you do will be less likely to see results. Having enough energy to do this depends on a range of environmental factors – the time of year, amount of light it gets, airflow, nutrients (fertilizer) and watering. It’s possible that you may not have seen success because the FLF might be lacking the energy to send out new growth. Late spring is the best time to prune for branching. Working up to this time, do everything you can to get your FLF healthy, including checking if it’s getting enough light or if it would benefit from a brighter location. Hope that helps!